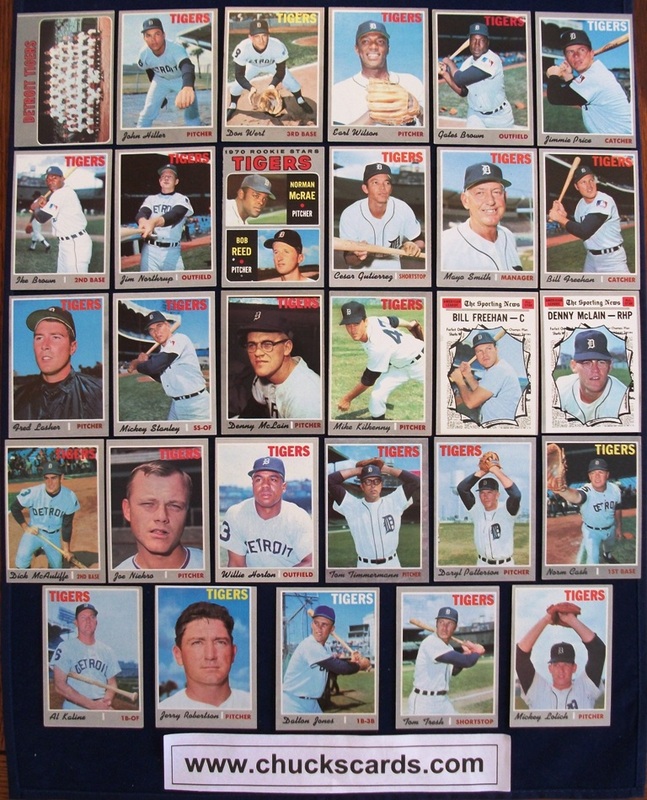 As my push continues to offer team sets as far back as I can, I am very happy to be able to now offer team sets from the classic 1970 Topps Baseball Set. 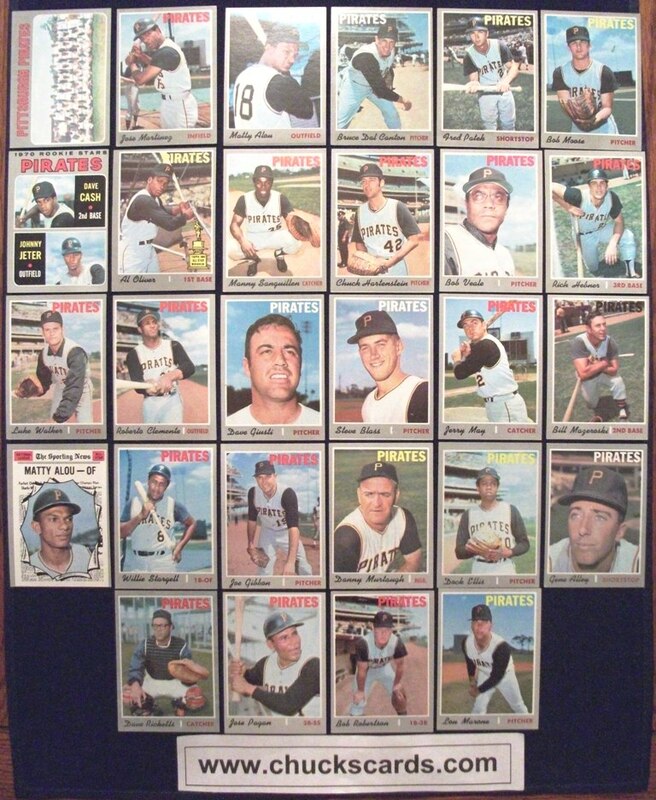 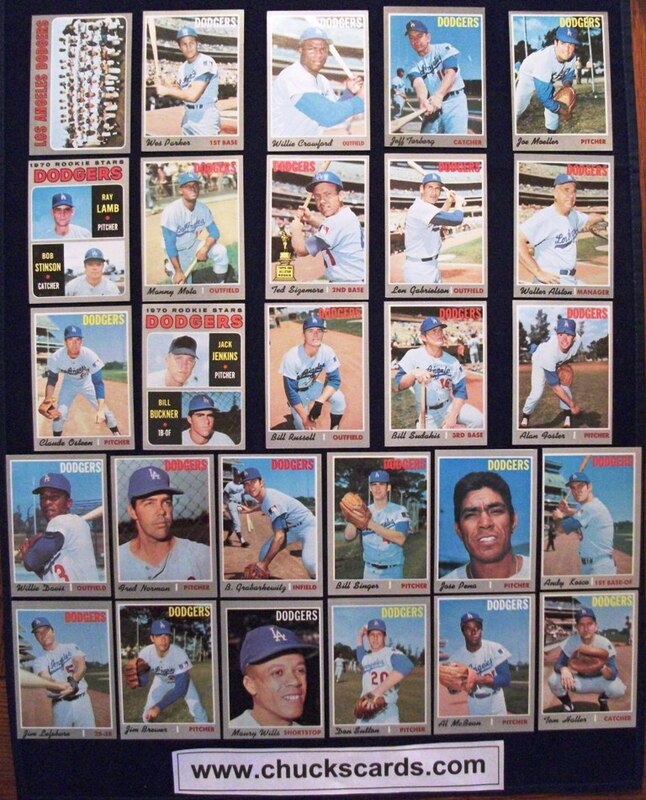 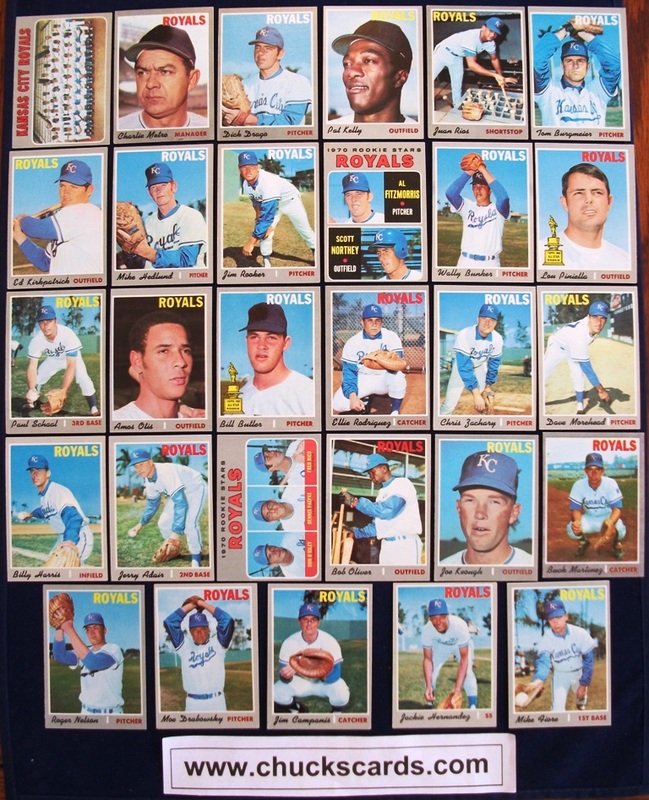 These cards are in remarkable condition for being over 40 years old! 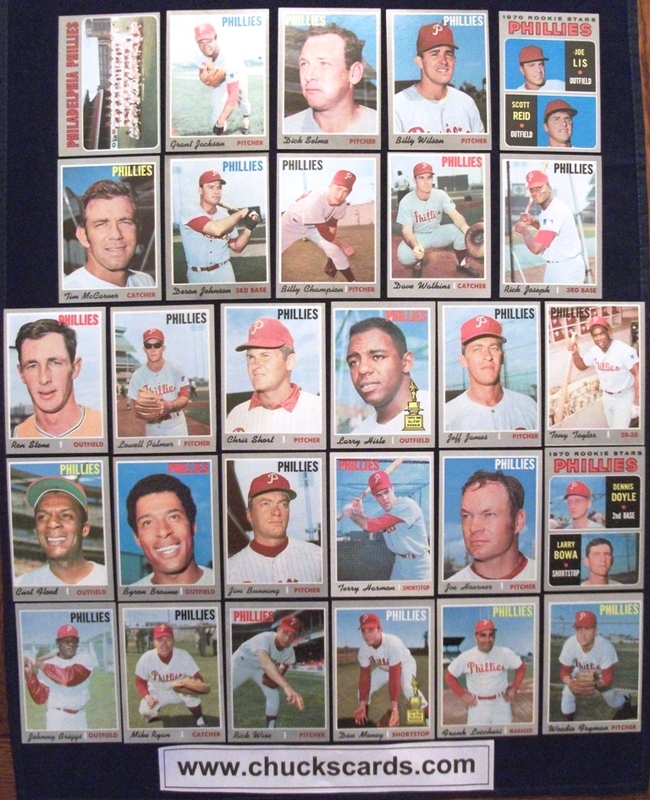 I picked up a set, replaced almost 100 cards and have them ready to go! 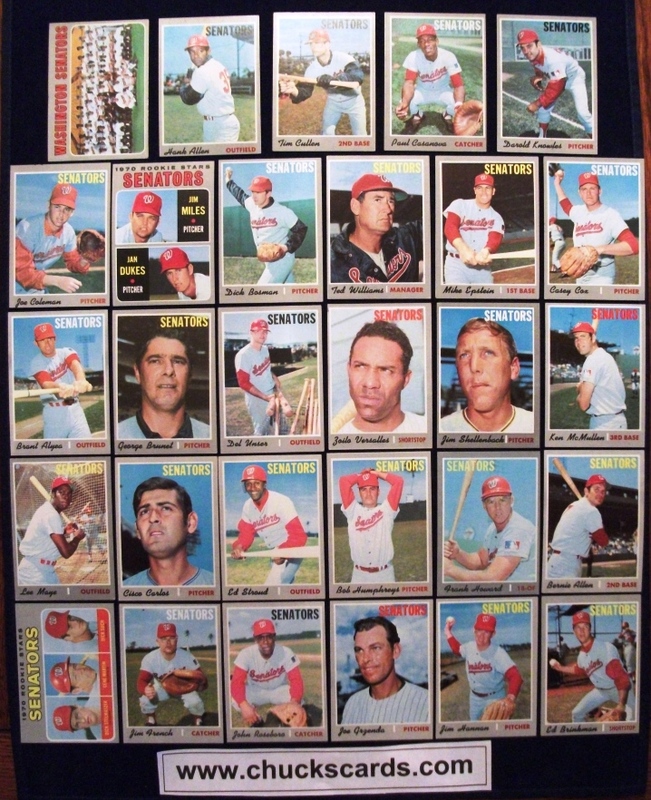 All of my 1970 Topps Baseball Team Sets that I have for sale consist of cards that on average would grade out to EX+ condition. 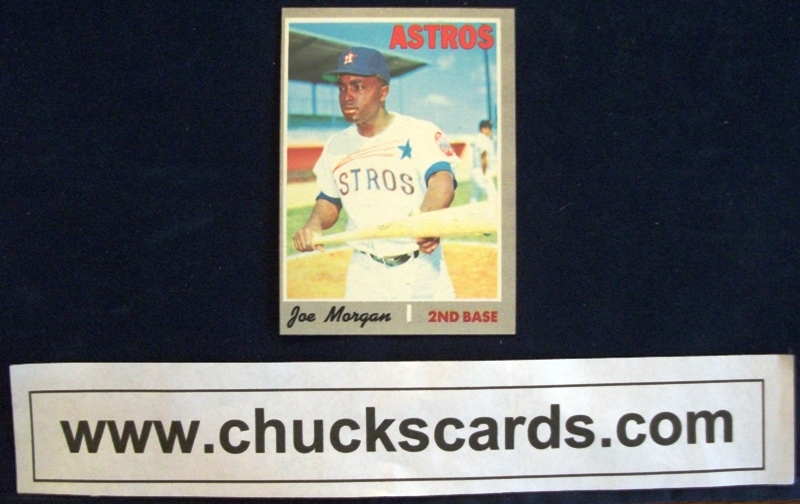 The one graded card I have from this set (Nolan Ryan - Mets) was graded a PSA 6 (EX-MT). 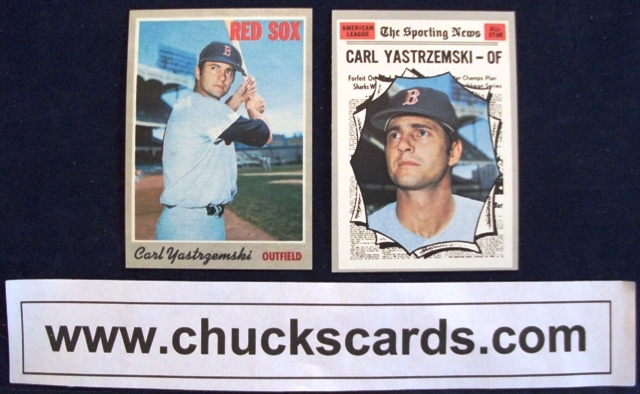 Some of the cards from the team sets look like they came right now of the pack, some might border on EX/EX+ condition. 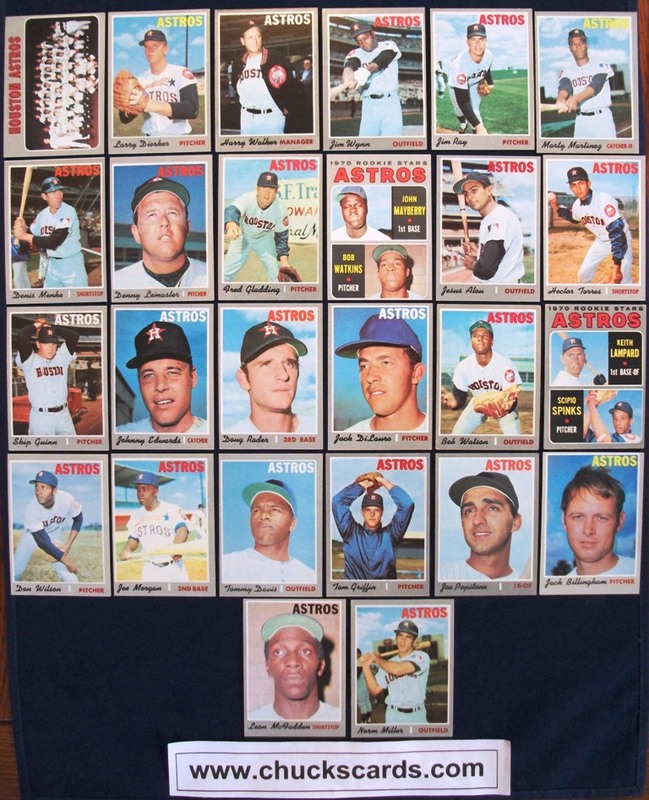 I know its hard for collectors to go out and get that Near Mint 1970 team set, but these team sets are very nice and I think you will be very pleased to add these to your team collection! 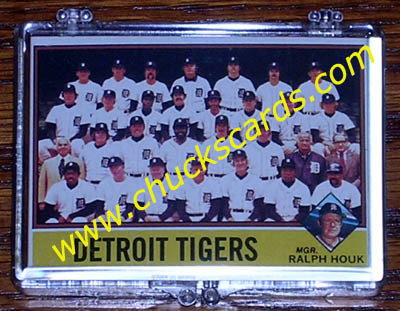 The common flaws you may find on some of the cards are centering, print lines (white or black) across the top or bottom of the card in the border area (not the picture) and slight corner wear. 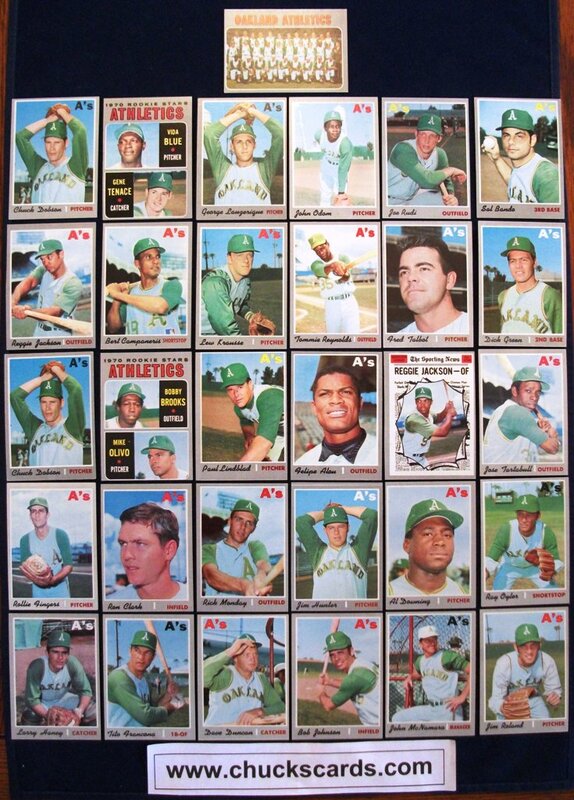 There are no cards with creases, as I replaced almost 100 cards from the set I picked up that had slight or surface creases. 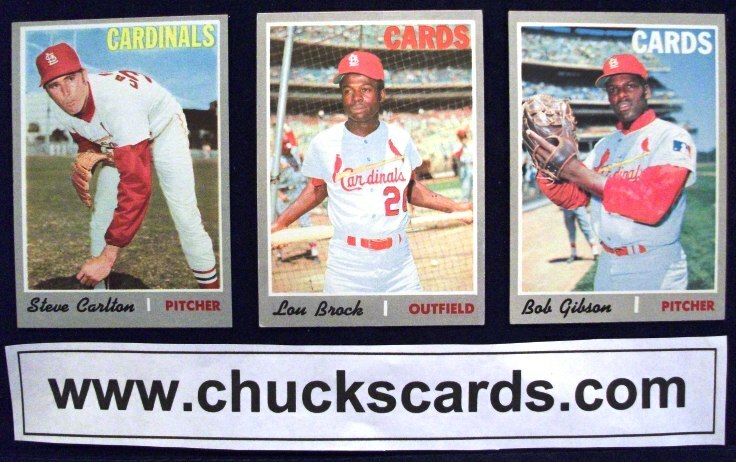 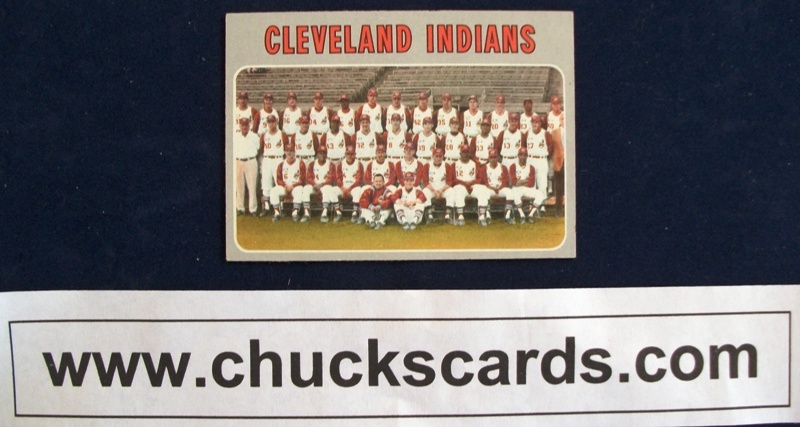 There are no wax stains on the front or back of the cards either. 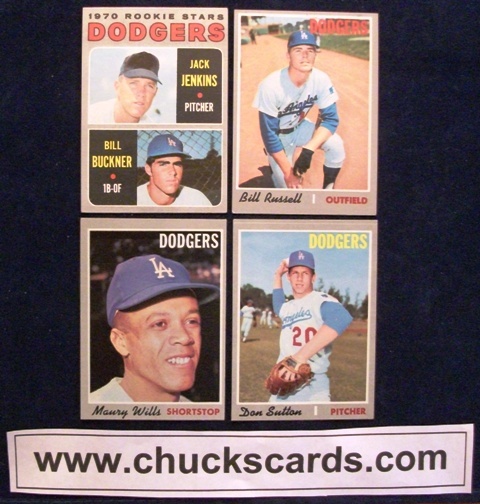 1) League Leader Cards #61 - #72 : different players from different teams. 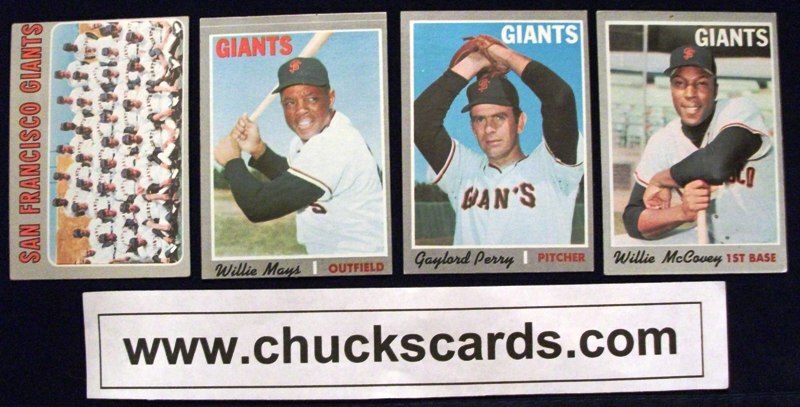 If you are interested in purchasing any of the above items, please send me your request and I will give you a price for the item(s). 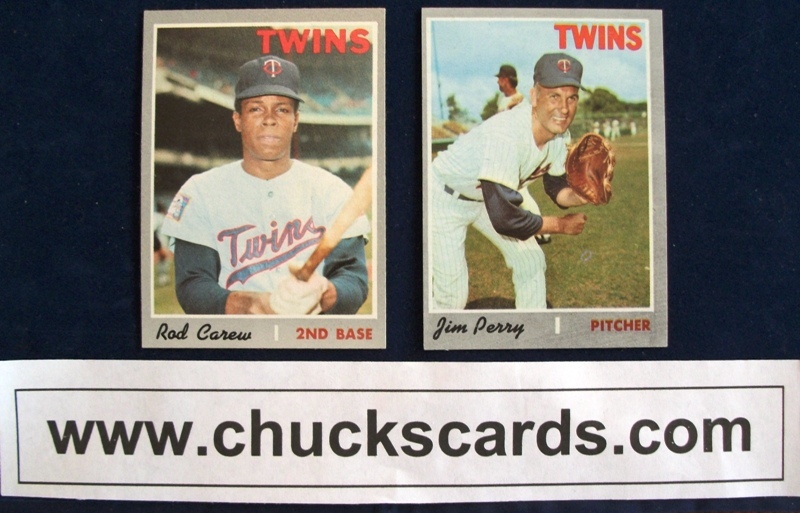 Please note that checklist # 343 (4th Series) is marked, all others are unmarked. 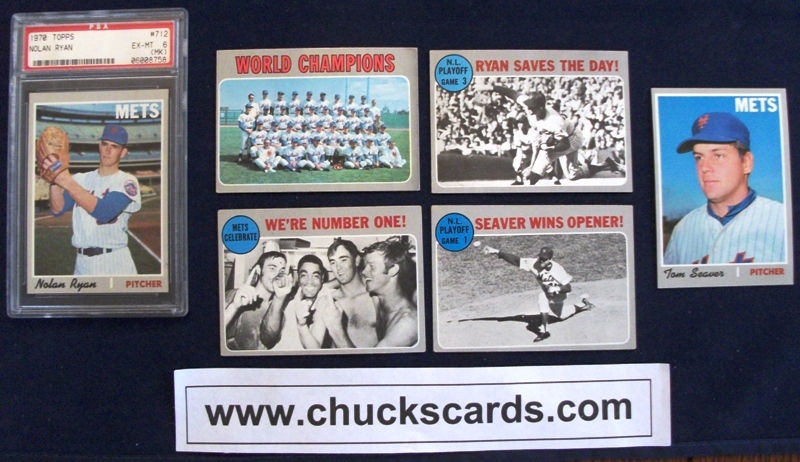 All cards that have a Beckett Book Value of $20 or greater will come in screw down hard plastic card holders. 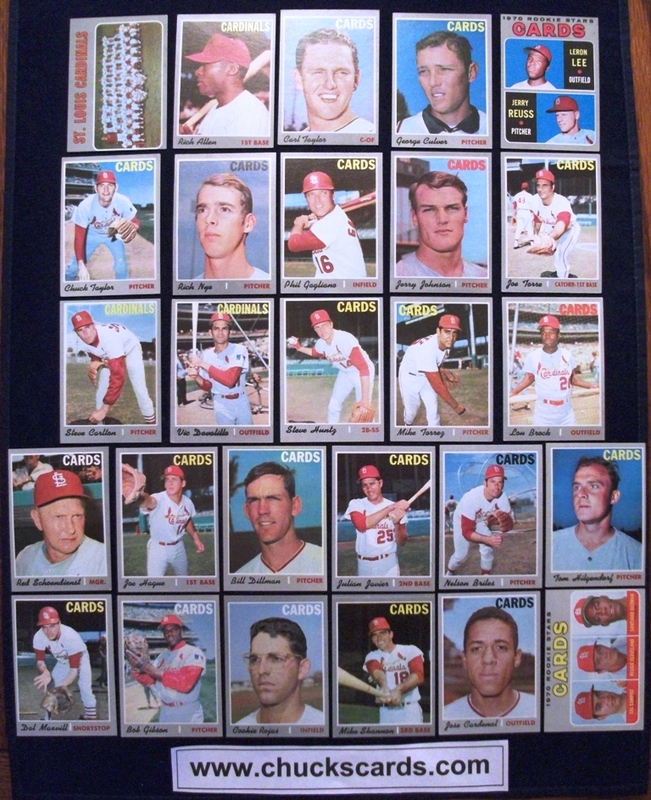 Since these are 40+ year old cards, you will want your cards to keep their condition with as little hand contact as possible. 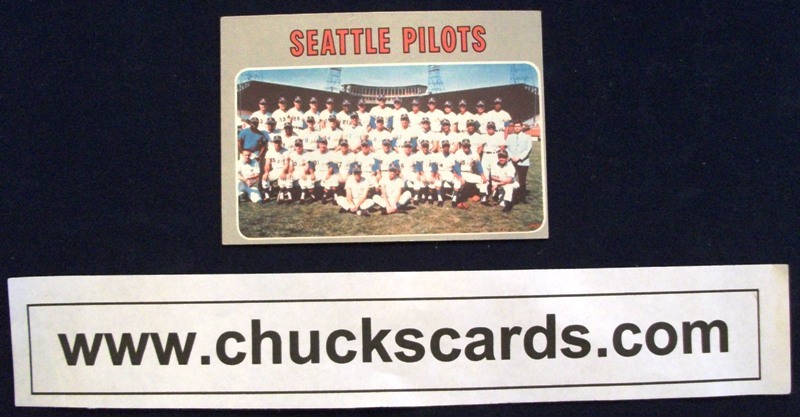 So the cards shown above (also Seattle Pilots team card not shown) have already been placed into these card holders for you. 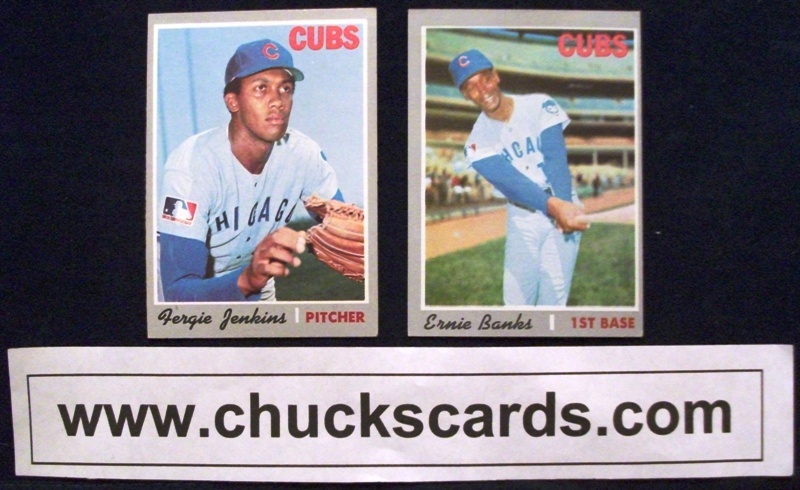 Feel confident about your friend checking out your card and not worry about him dropping it and putting a ding in it! 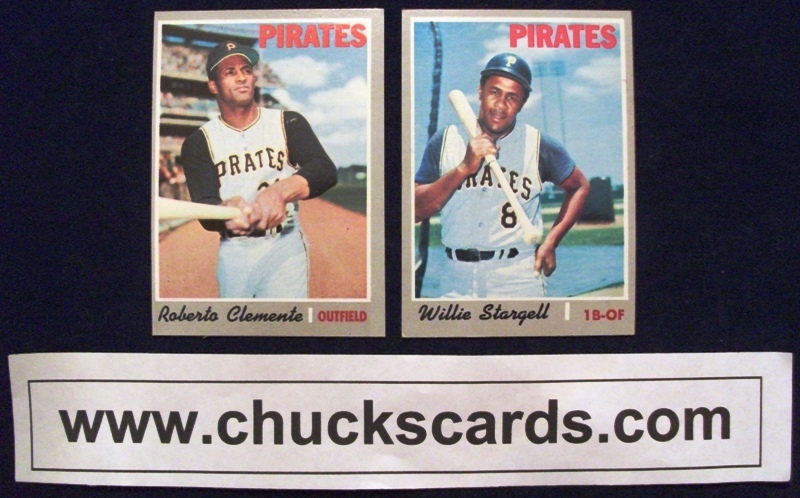 Also, in case you missed it above, if you want to purchase any 1970 Topps team set, shipping and insurance will be free with your order! 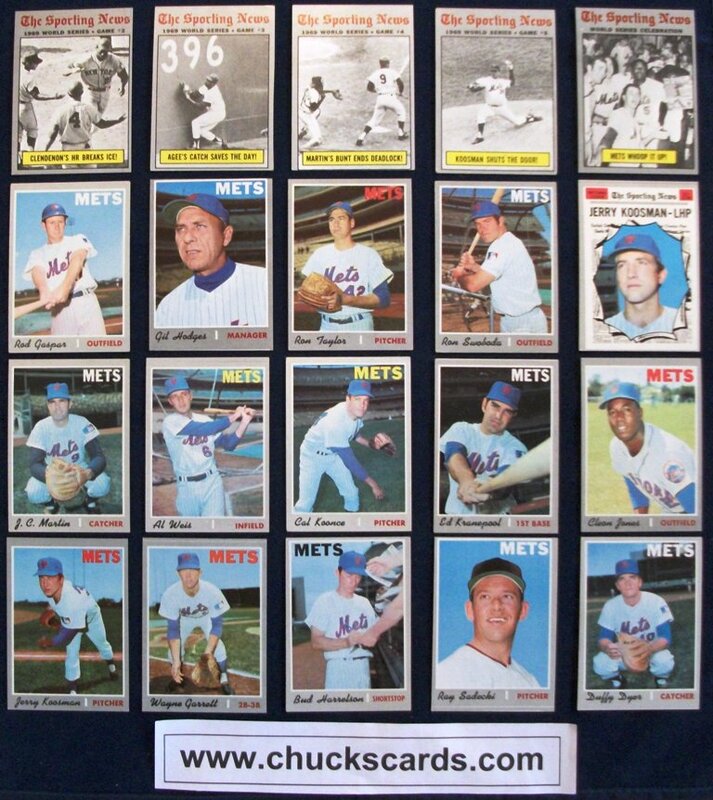 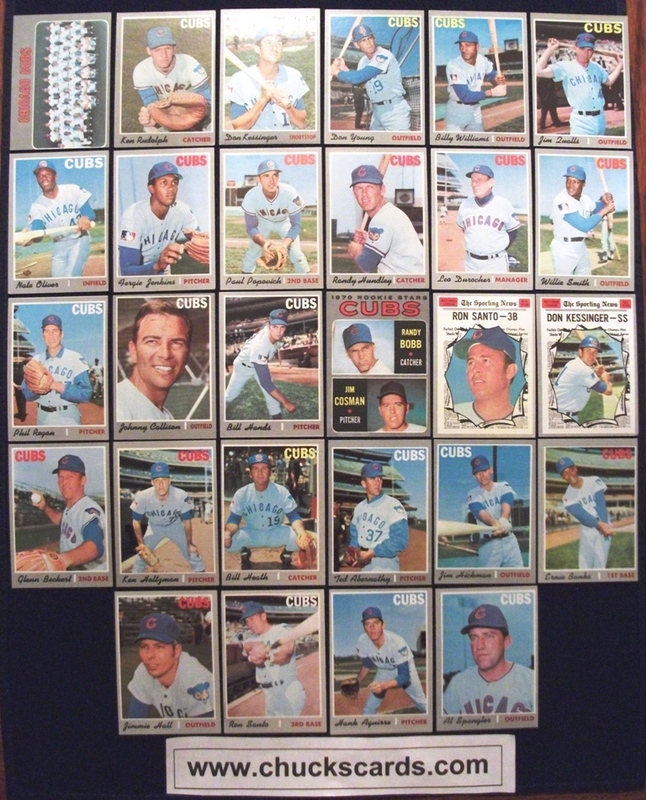 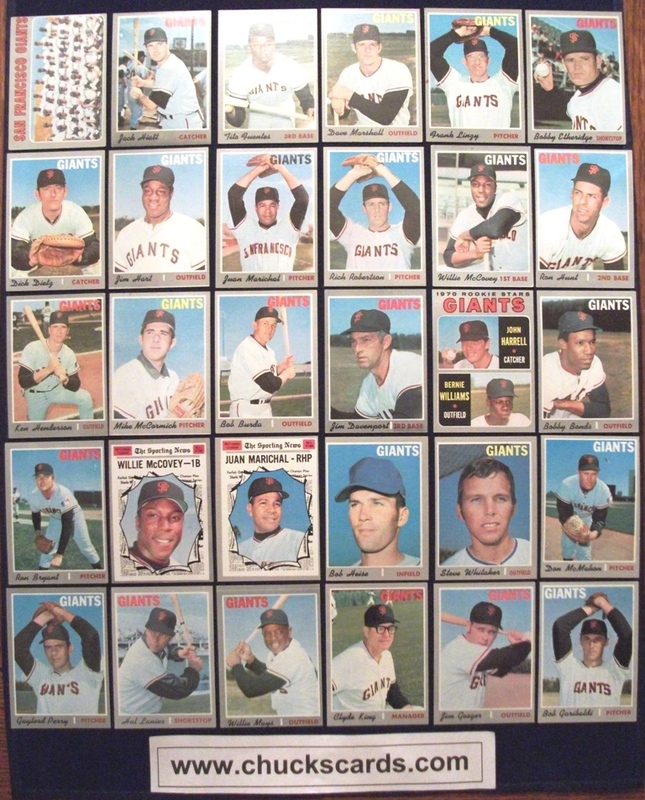 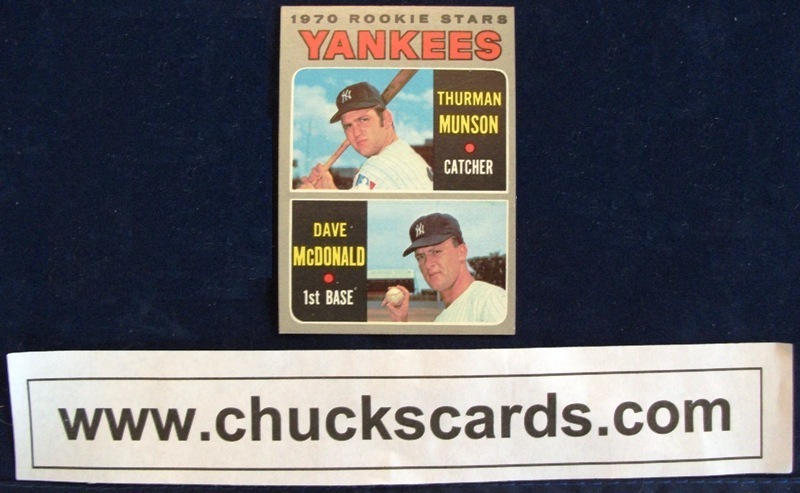 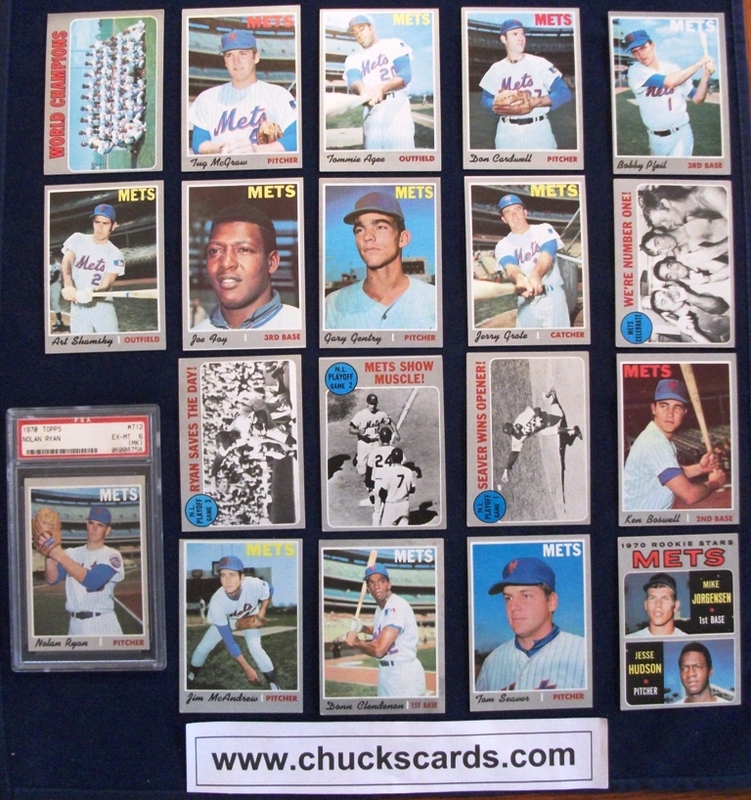 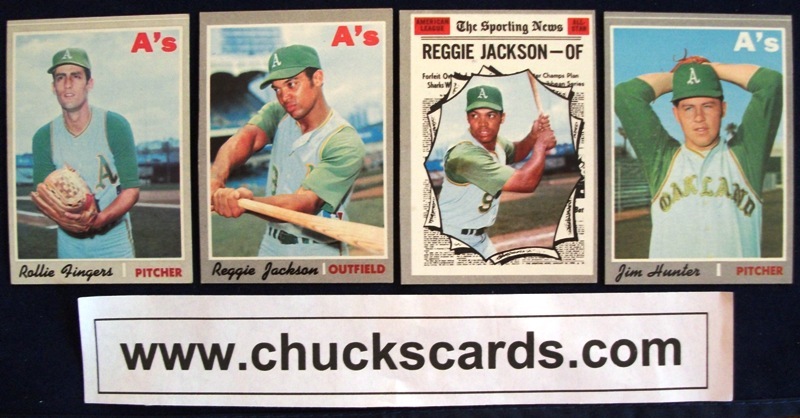 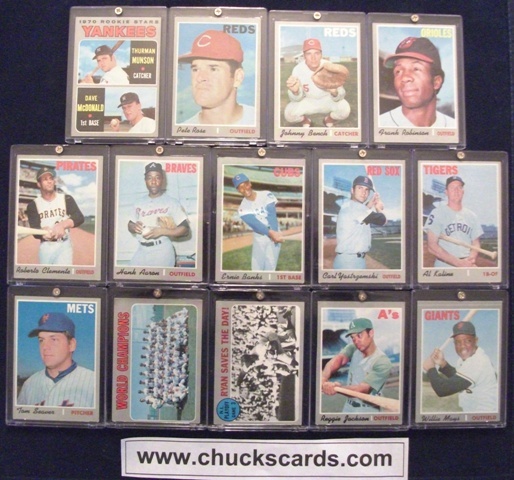 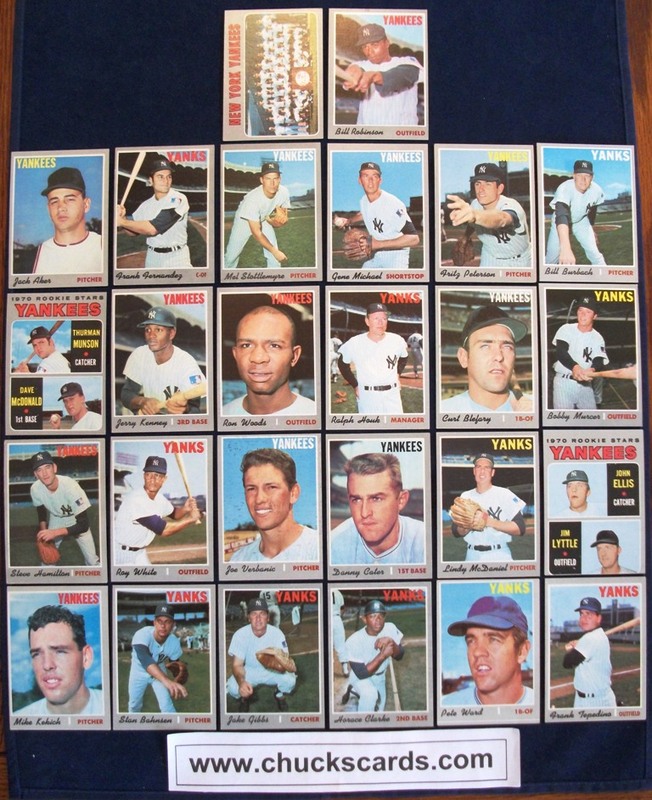 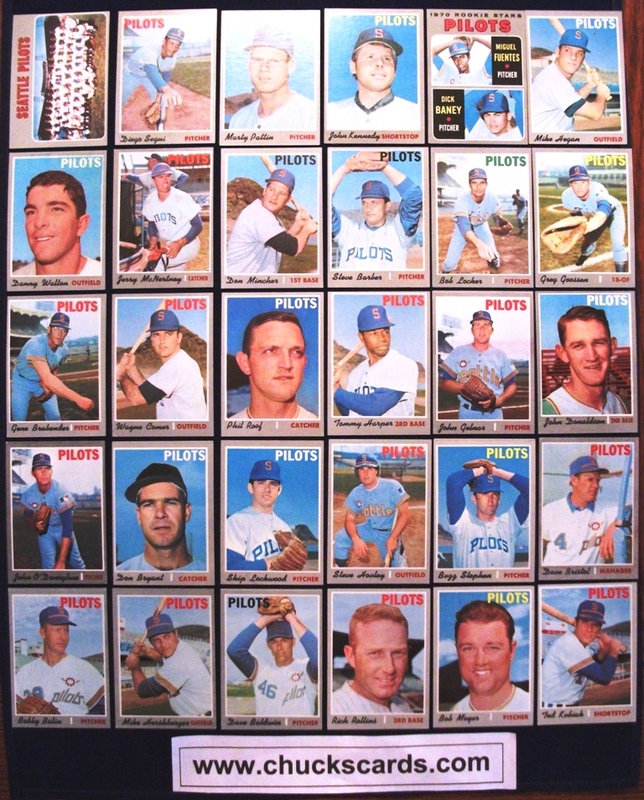 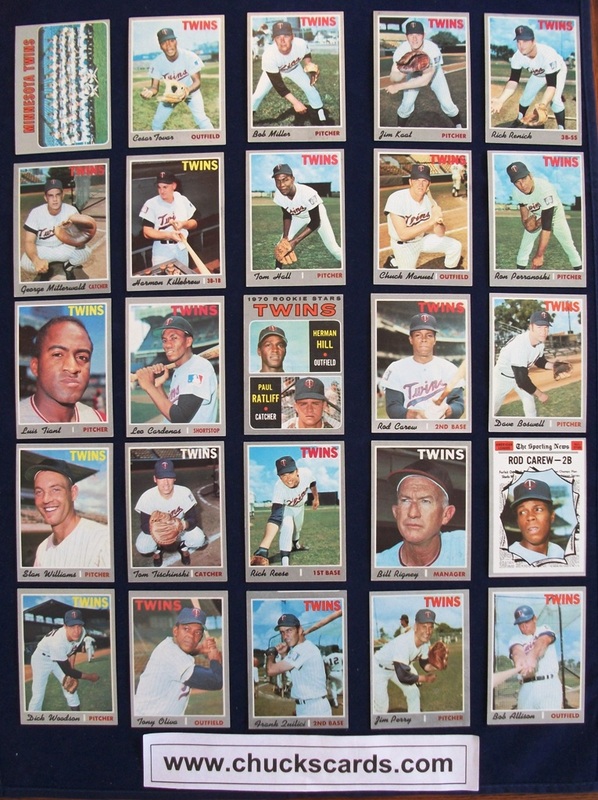 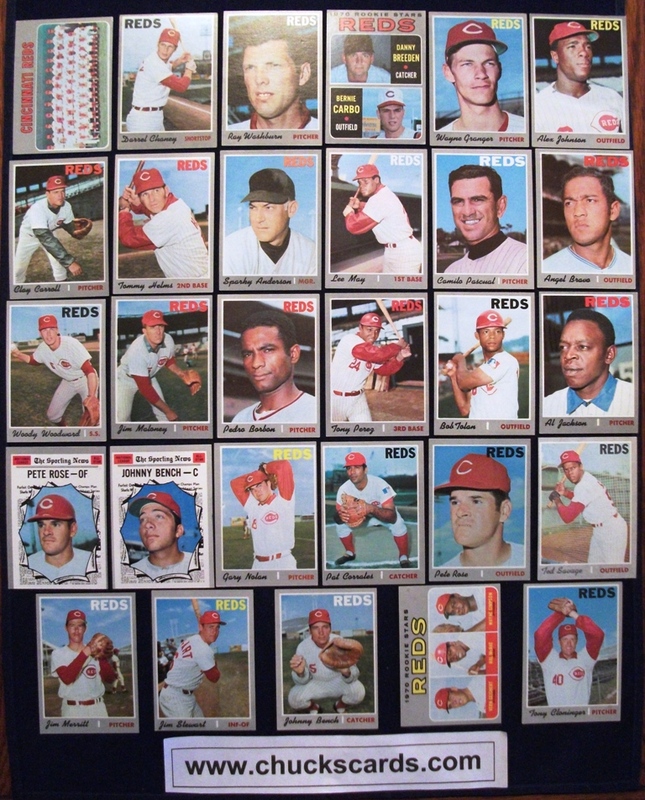 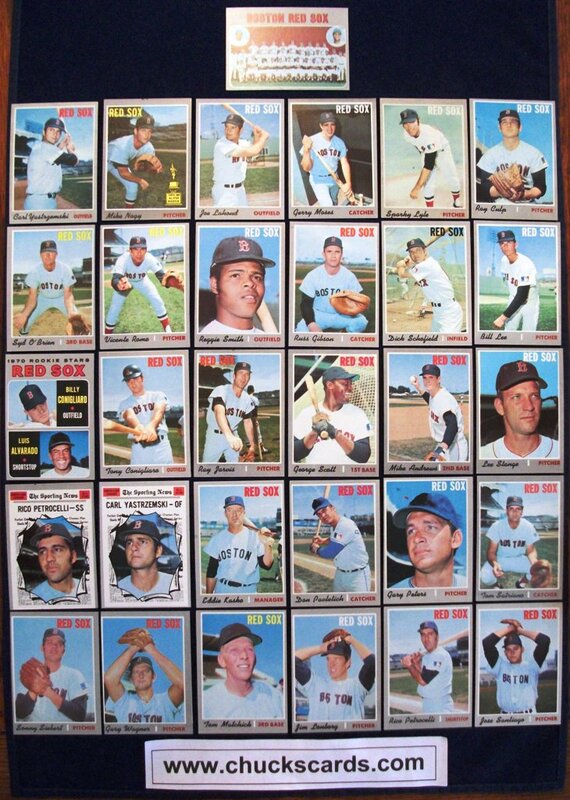 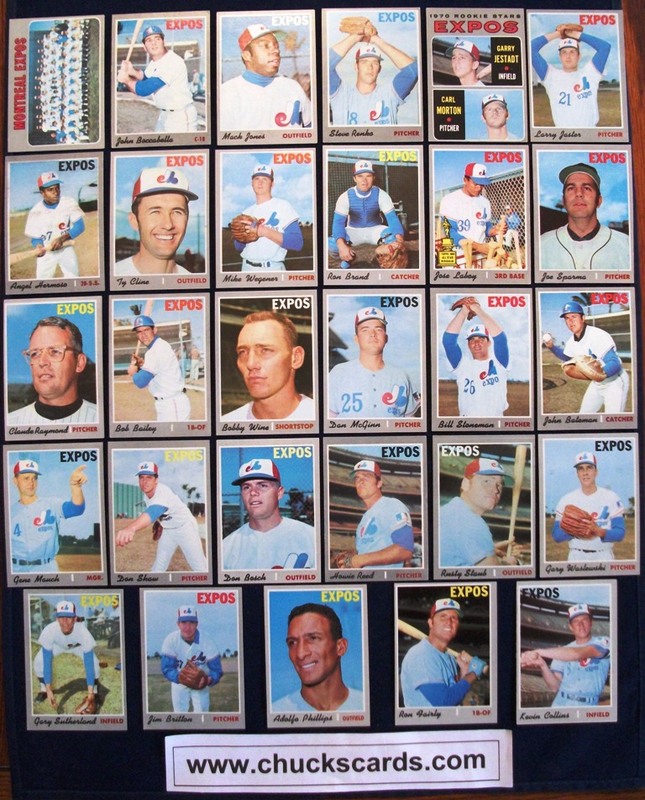 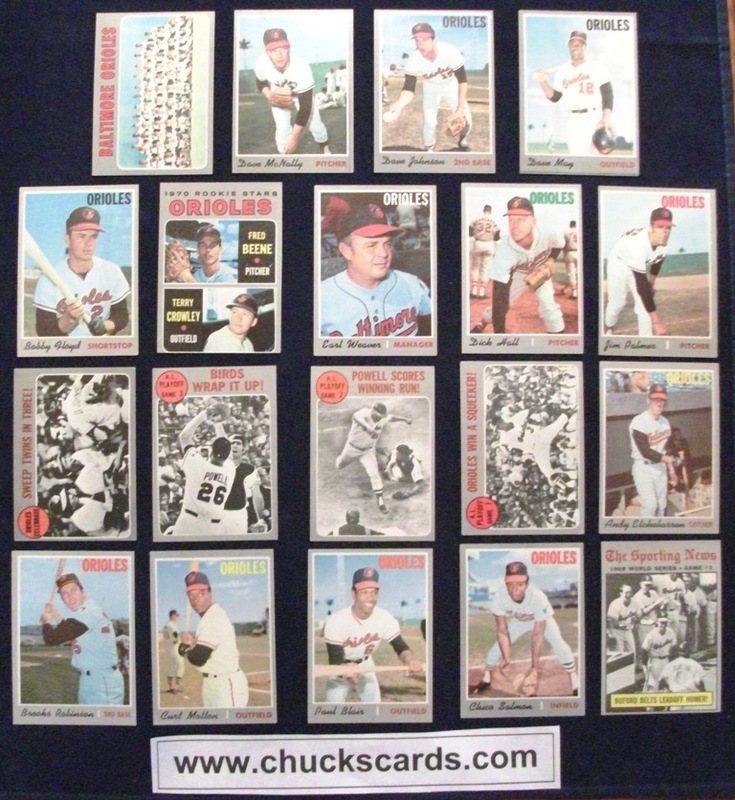 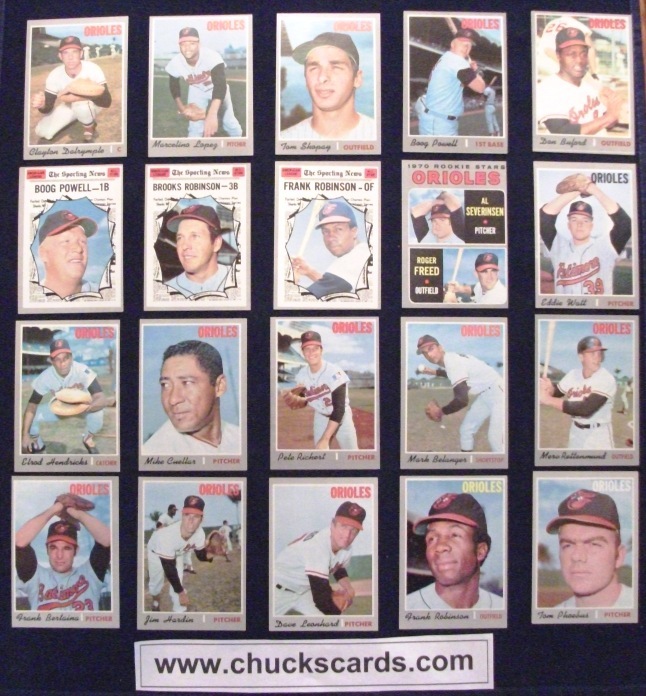 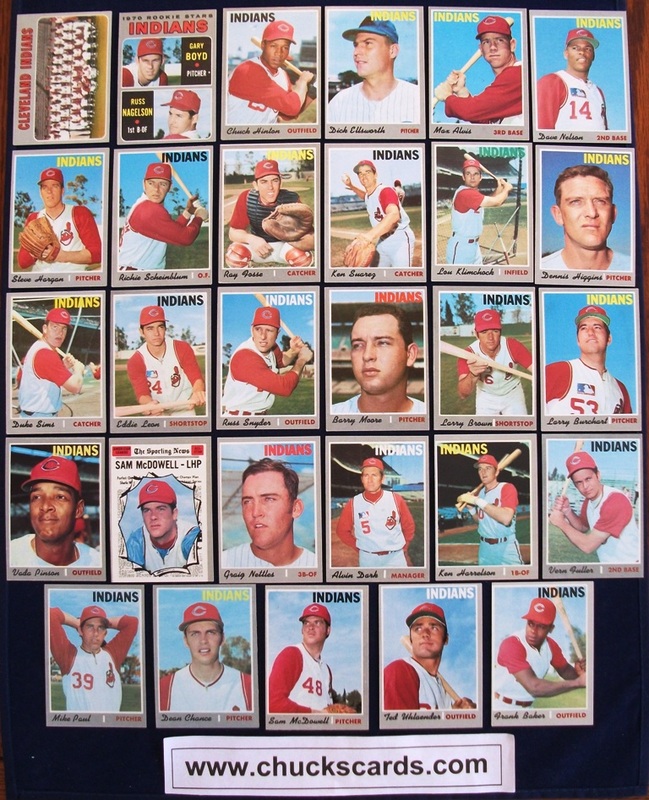 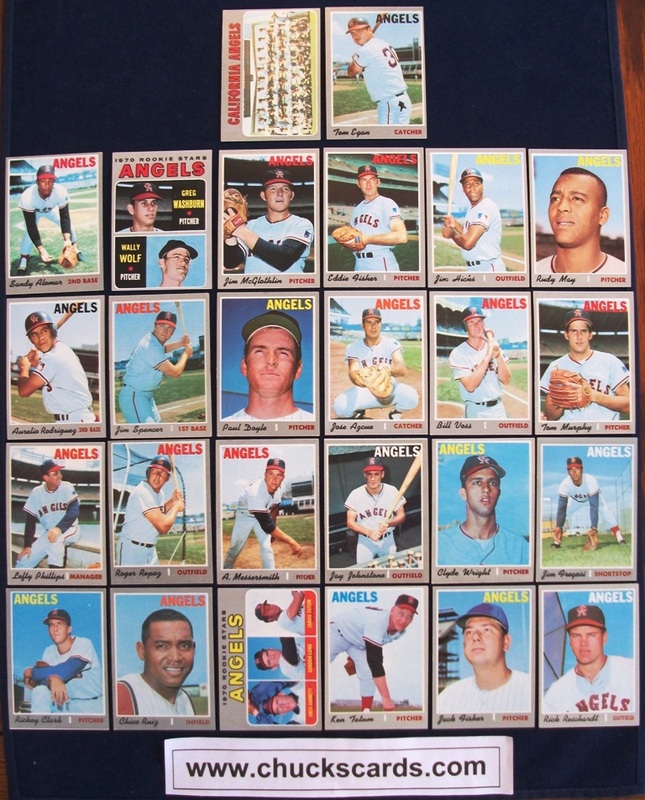 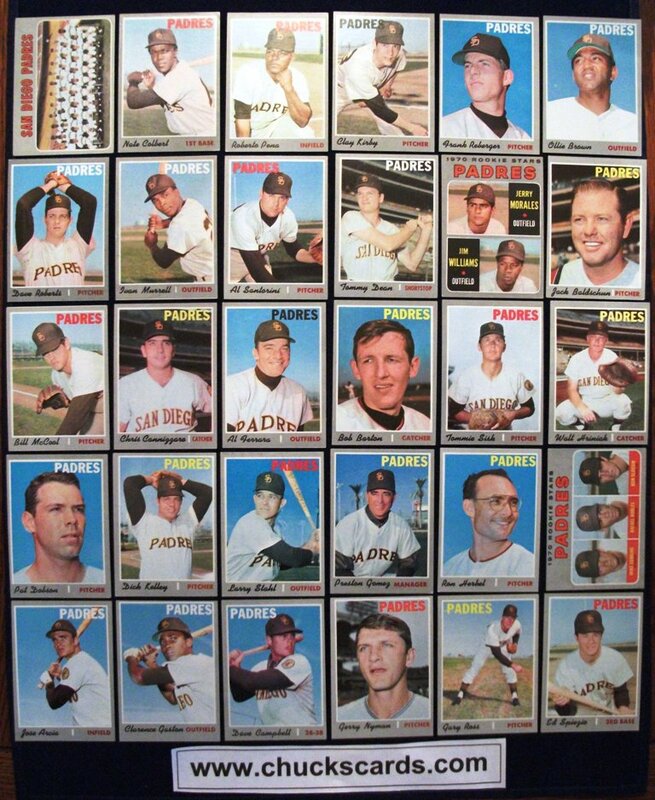 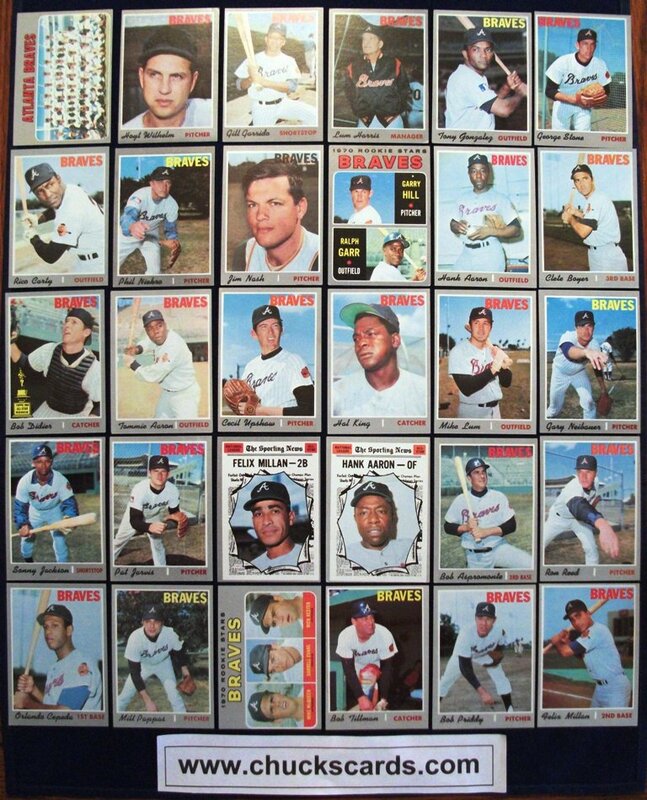 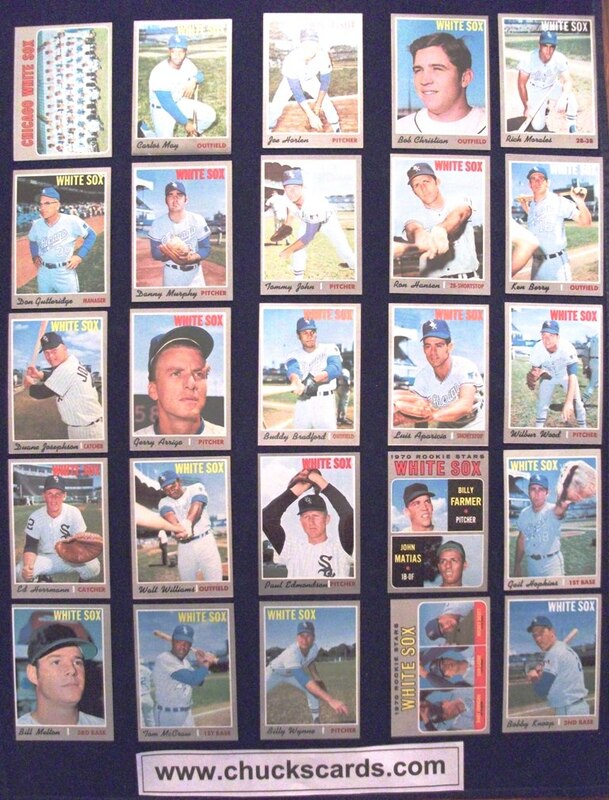 All 1970 Topps team sets are sent in a 35 count plastic case as seen below. 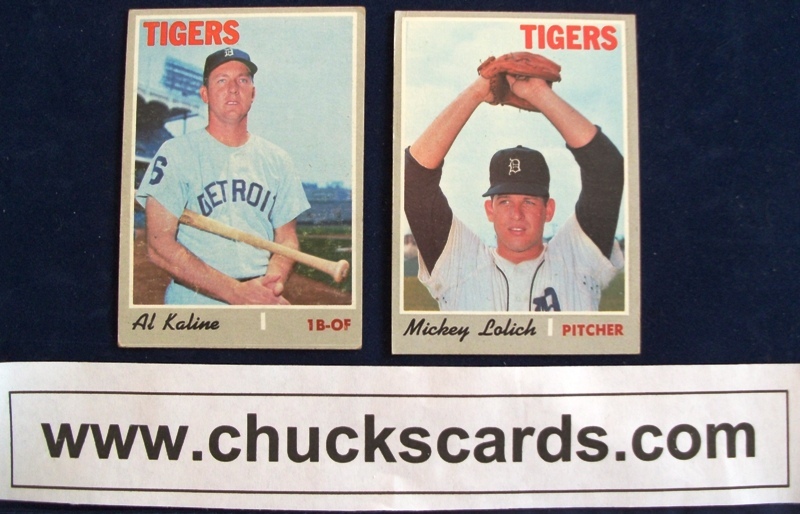 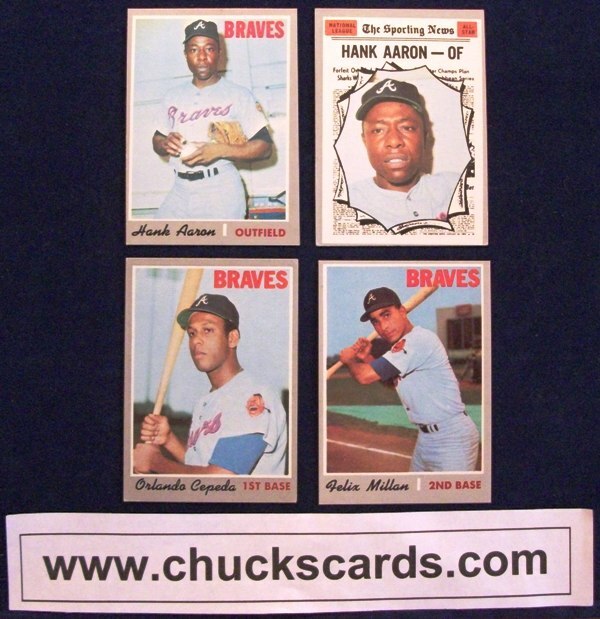 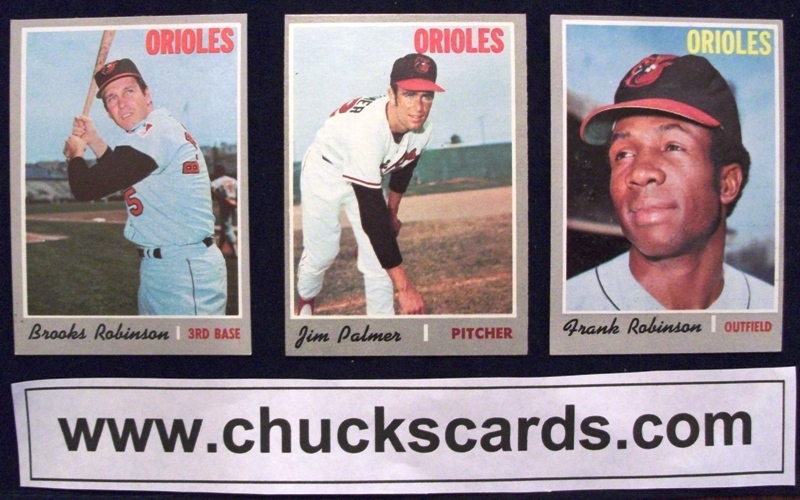 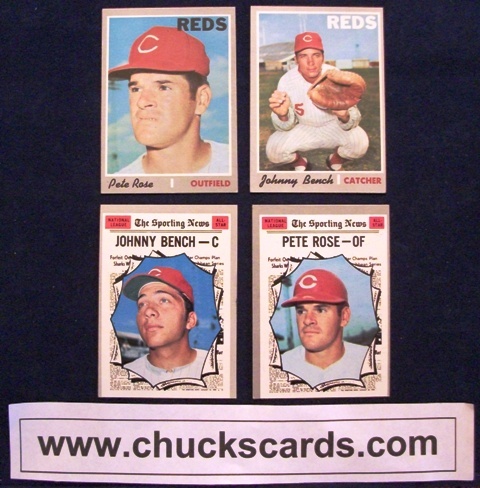 The following team sets are currently available for 1970 Topps Baseball and their price.